Chris Hadfield is one of the world's most seasoned and accomplished astronauts and the author of An Astronaut’s Guide to Life on Earth. 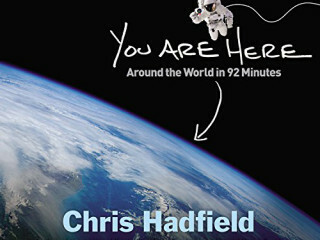 Now he brings us You Are Here, a book of photographs encapsulating Hadfield's singular eye for our world as it appears from above. The speaking portion of this event is free and open to the public but tickets are required to join the book signing line. Purchasing a book online automatically assigns you a ticket for the signing (there is no separate "ticket" item to add to your cart). Admission is free; Signing requires purchase of book.